I walked in to an Apple Store and was curious to find out how much my current iPhone would be worth. Based on the salesperson’s estimate, it’s clear that they quote trade-in values based on the model of the phone, and will offer the sum towards the purchase of an iPhone right then and there in the store. However, they can also facilitate a trade-in where you ship your iPhone to Apple and are given the credit in the form of an email. Whichever method you use (we would recommend doing it right there in an Apple store), it’s important to first prepare for your new iPhone. Be sure to make a backup of your iPhone, either as an iCloud backup or a backup to iTunes on your computer. Just because you’re signed into iCloud and synchronizing your data does not mean you have a backup — you should manually create one. Please contact us if you’re unsure about your backup status. How do you determine whether to upgrade to an iPhone XR or an iPhone XS? For some people who would like certain features that only the iPhone XS can deliver, like an OLED display, and the most advanced dual camera system Apple’s ever made, the iPhone XS is an incredible phone. In contrast, the iPhone XR has almost all of the same features as the iPhone XS, with a couple of exceptions. The iPhone XR has a slightly larger battery and longer battery life, uses software instead of hardware to achieve portrait camera focus effects, has the same brand-new A12 bionic processor, and has access to the same applications and eSIM feature as the iPhone XS. 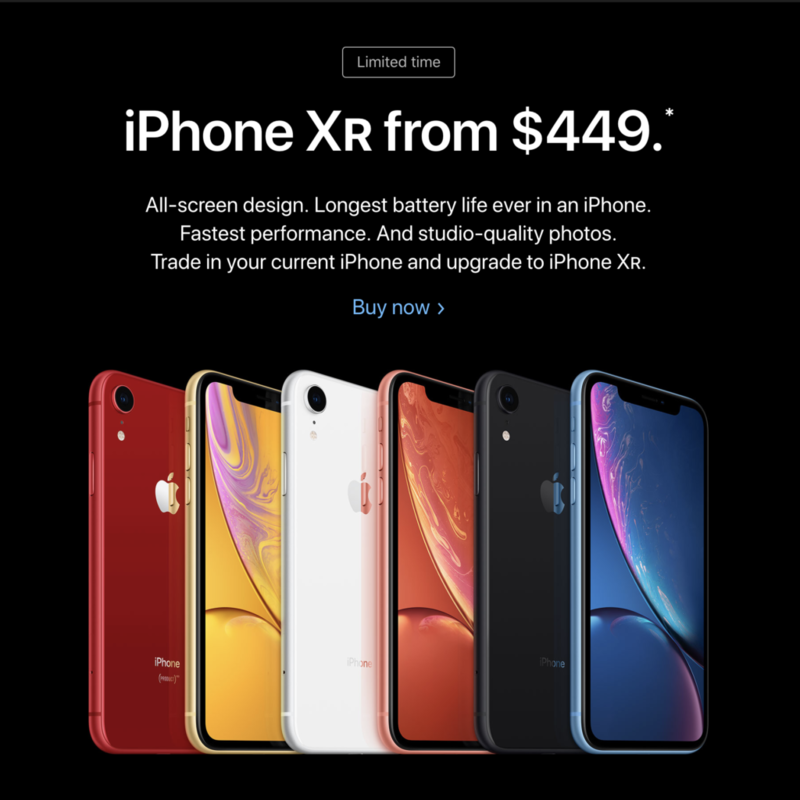 For someone like me who has never had a phone with an OLED display, or a dual camera system, getting an iPhone XR with much of the same technology as the iPhone XS for as little as $449 seems like a bargain. For people who want to take advantage of the latest iPhone technology offered by Apple, or who have just been waiting a few years to upgrade their iPhone, now is a great time to do it. Of course, if you have questions about the process, want to make sure you’re backed up prior to a visit to the Apple Store, or would like setup assistance with your new phone, please contact us at (916) 972-9000 and we’ll be happy to help.